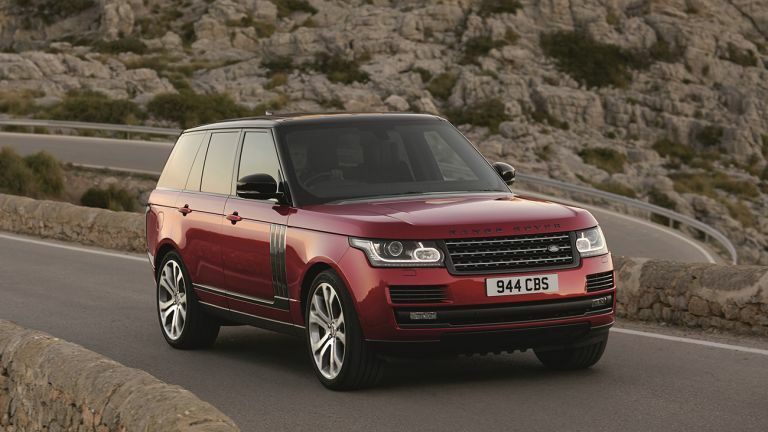 Meet the newest model in Land Rover's lineup - the Range Rover SVAutobiography Dynamic. It's the most powerful Range Rover ever made, packing the same 550HP 5.0-litre V8 Supercharged engine found in the Range Rover Sport SVR and Jaguar F-Type. For something that weighs around two tonnes, surely it breaks the laws of physics? Adaptive Dynamics reacts to driver inputs and changes in the road surface to provide premium control and ride comfort. The SVAutobiography Dynamic has been tinkered with by JLR's SVO division to improve both performance and comfort. Dynamic Response improves vehicle handling and occupant comfort by reducing the amount of body lean during cornering. Or, in other words, approximately10x faster than the average speed on the M25. The Range Rover SVAutobiography Dynamic sets itself apart from lesser models with Graphite Atlas details, 21 and 22-inch alloy wheel designs, three unique colours, and red Brembo brake calipers. Of course, the inside is equally as special, with diamond quilted leather seats, contrast stitching, paddle shifters, and knurled metal detailing. It'll cost £132,800 when it goes on sale later this year.